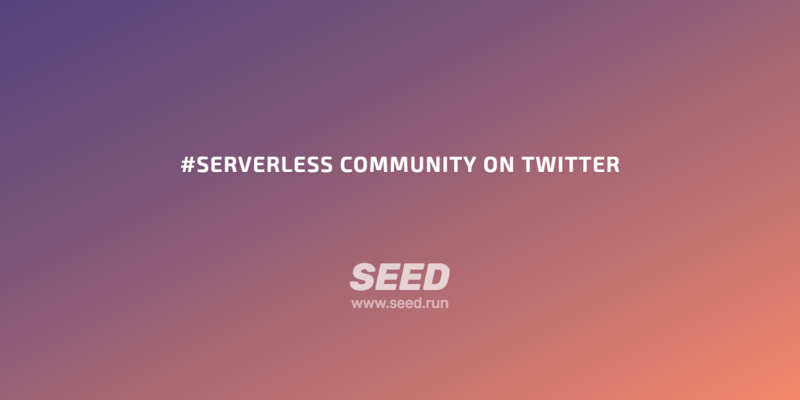 We are starting a new series over on Twitter to highlight some of the great contributors to the Serverless community. Every Friday we’ll give a quick shoutout to a couple of the folks in the Serverless Twitter community. And highlight what makes them special. So be sure to follow @SEED_run on Twitter and our community heroes (if you haven’t already!). Also, let us know if there is somebody you’d like us to give a shoutout to!